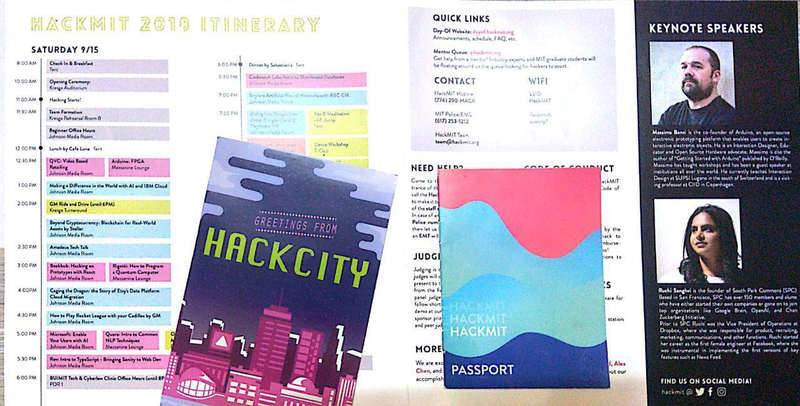 Recently, I got the chance to go on my first international solo trip to the United States of America, to participate in one of the biggest undergraduate hackathons at Massachusetts Institute of Technology, HackMIT 2018. It was undoubtedly the experience of a lifetime. I thank my college, Amity University, Uttar Pradesh, TechMIT, part of TechX, Google Inc. and my parents for supporting me and enabling me to visit this glorious event and spend a week in the States to explore further opportunities. Standing there in the sun, was the best feeling ever. I learned, had fun, sought crazy experiences, and even bigger adventures. Experimented at every opportunity I had. Met and talked to so many great people from different countries, ethnicities and cultures. I clicked photos, rode the subways, the trains, the cabs, the planes, cycled through the streets of 8th Avenue, admiring the great architecture, tried strange new things, made mistakes, made friends, made pancakes. All in all I mean to say, US is a great country to visit and travel. Go for it, if you have the chance or the means. That being said, allow me to give you an all-access tour of HackMIT 2018. I would really like to take a moment here before we start to thank my University, again for funding my travel expenses in my time of need. The best wishes, advice, and support of the Amity family kept me going through thick and thin. I hope I get a chance of representing Amity University, in the events to come ahead. All photos are hereby by free to be reproduced in any form deem fit by the person seeing them. Do tag me before sharing. I am available as vipulgupta2048 (Check sidebar) all over the web. After the late night check-in and pizzas, we got our ID’s, the travel guide and passports. It felt good to be representing my university at HackMIT 2018. To hold one of these with my name and Amity University written on it, The HackMIT team actually made life-sized blocks of their logo for people to click photos with. Trust me, people actually got pretty creative with them. Photos coming through. That’s our venue, Johnson Ice Rink, part of MIT Athletics center at 120 Vassar Street. Next to the student center (Where workshops took place), the Kresge Auditorium (Opening & Closing ceremonies) and MIT main campus at 76th Avenue. We spent almost 30 hours of the hack here. This and a white tent. The car was pretty sweet but not as much as playing Rocket League in state-of-the-art Cadillacs sponsored by General Motors. Food was served here in the white tent. Sorry, feasts. I liked this a lot at MIT. At any given point of time, there was something interesting happening at MIT parallelly. I failed miserably to track it all in the week when I was staying there, but I involved myself a lot in these activities just to get a slice what it feels like to be in the center of all the technology, innovation and legacy that was around me. This was one of the Hack-Shops by General Motors. 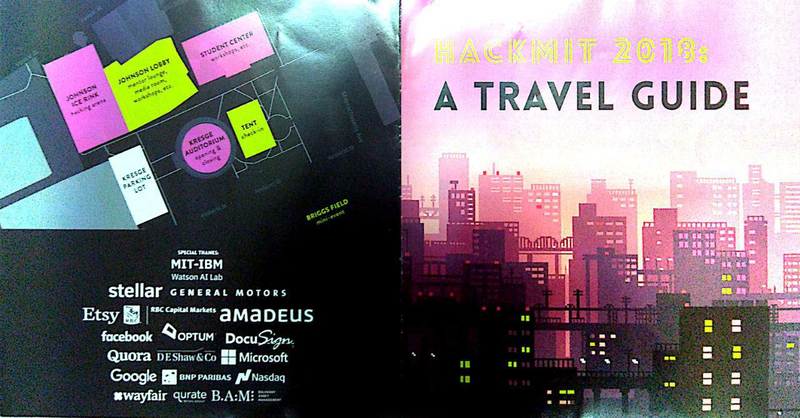 Opening HackMIT 2018 – Let the hacking begin !! Kresge Auditorium as beautiful it is hosted the opening, keynote addresses and closing ceremonies of hackMIT 2018. The energy was electrifying and the hosts were amazing. I actually met my team members Devansh and Charles here. Out of the blue, these two just took up seats next to me, we started talking and next I see, we are building a drone in IBM: Call for Code challenge. Most things, usually happen to me like this. I don’t know why but it’s working out ever since. Massimo Banzi, co-founder of the Arduino project inspiring the crowd with the journey of Arduino. He actually motivated me to hack with IoT this hackathon. We worked on Photon devices, which was pretty damn cool. Oh, did I tell you that the venue was humongous? About a 1200+ people were here at any moment of time at the start of the hack. Until I went around to get my bearings at 3 in the morning and clicked some polaroids. If you notice the people sleeping on the ground, you know how crazy fun was HackMIT. Ever imagined the logistical challenge in accommodating a 1000 hackers from around the world into a single venue for 24 hours? Their stay, the venue, the food, the hardware needed? The team behind HackMIT did. And then they perfected their solutions. HackMIT was one of the most organized hackathons that I ever been to. With just 30 students handling the entire hackathon from food to hardware to logistics to correspondence to sponsors to everything in the middle. They understood the last thing one wants is to disturb hackers. Which I thought was very thoughtful. The aftermath of leaving hackers for 24 hours. Empty bottles, half-eaten sandwiches, swags and stickers strew around like trash over silently humming laptop. Gatorade, Soylent, flavored drinks, energy drinks, cookies, pizzas, chips, Doritos, chocolates, fruits, coffee, were just some of the things that I remember out of the mountain of things that SnackMIT had to offer. Also, enough cheese in the food to feed an army or two. Strange thing I did – Drank Bubble tea by Kung Fu tea. That stuff was funky. Woohoo, I loved these. They created hacker lounges like these where people could take a break, hang around with other hackers, or play mini-games. The computer on the left was a live stream of Hack The North happening parallel to HackMIT 2018 at University of Waterloo. I cherish the memories I created here. Michael and I up close for a bureaucratic handshake after our small chat on Indian Politics since he was into politics as well. 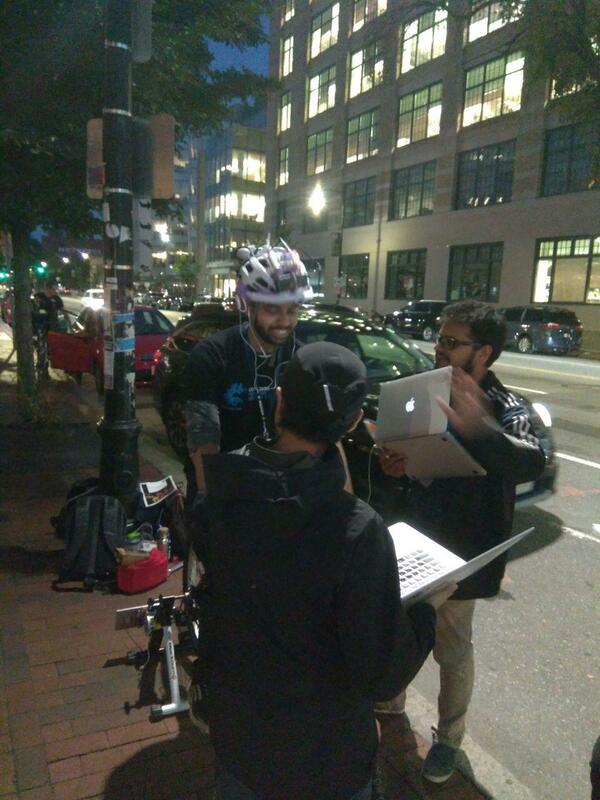 The way HackMIT implemented their mentor assistance program was also commendable. As we got solutions to our problem that we were facing in minutes after posting a request at q.hackmit.org from the sweet mentor that brought us the beaver to get our passports stamped. Go to the end to understand what the Passports are about? Speaking of Assistance from IBM in our project, Angie and John really helped me out as I handled the IBM Watson’s Image recognition API. This was us discussing some opportunities with IBM. Always good to network with people. Some people might say that I look exactly the same in both the photos. Face-wise. They might be true. I actually never got the chance to click any photos of the interview we had with the IBM team, that was pretty rad. On the left are some fellow hackers, demo-ing their awesome project. Pitching with the live demo of Wats’on the Roof in the Project Expo of HackMIT 2018. Notice that blue figurine on the table, I brought it home. It was way too cool to just leave it there! If you like to know what the project was about and what we used to build it. Follow this link here. Our project was part of IBM: Call for Code Challenge to build solutions for disaster management and disaster prevention. To ensure participation and ensure people move around for various fireside chat, mini-games, events, and workshops. 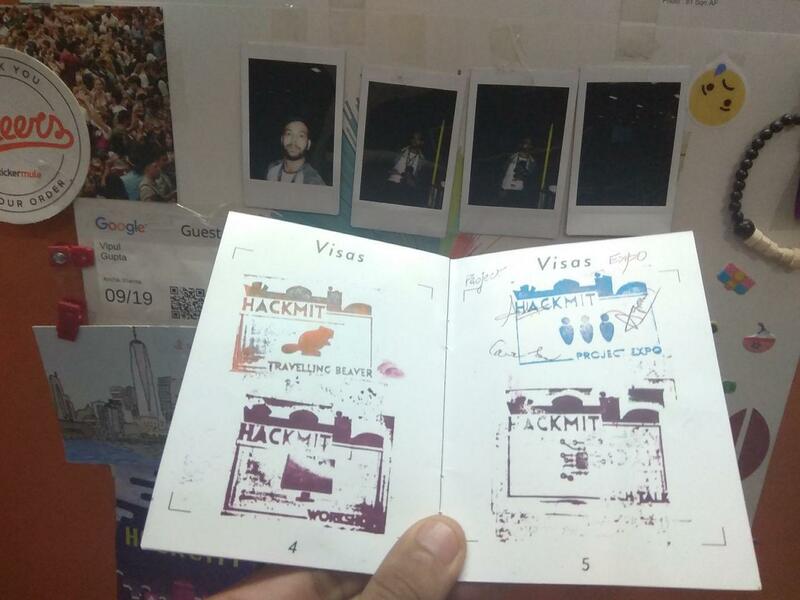 The HackMIT team took advantage of their main theme of community and traveling (Let’s go on a trip) and used visa like stamps to track the movement of the hackers. For people getting more than 8 stamps would get special HackMIT beaver. Which I thought was brilliant. After the hackathon, I went around for a little walk along the Charles River and MIT Museum. Only to engage in a scientific experiment for the betterment of mankind. 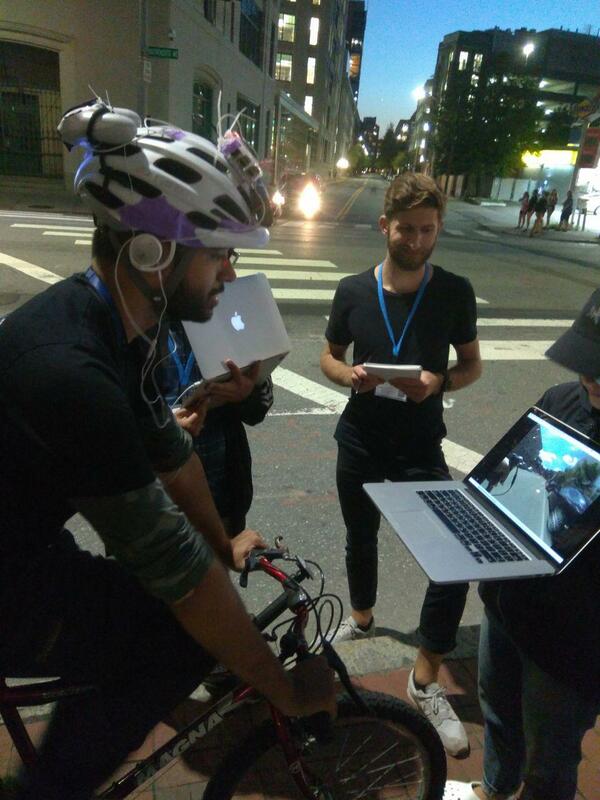 No, it wasn’t a big deal but an idea that got me really excited of a smart helmet that cyclists could wear. People building it were part of their own hackathon at MIT Media Labs Robotics hackathon. I being more than willing to give myself up for science, hopped on the bike for a cool little experiment. I had fun meeting strangers and making new friends on the streets. Had a small interview with them on my insights on what could be better. Well, that’s about it. I will take your leave with the last two photos that I took but didn’t know where to include them. Hope you like the post as much as I liked writing it. This was really fun to do again when the last time I did with Google Cloud Summit 2018. I might end up making ones for Boston and New York as well. Till then live in the mix guys. One way or the other, We aim to please.